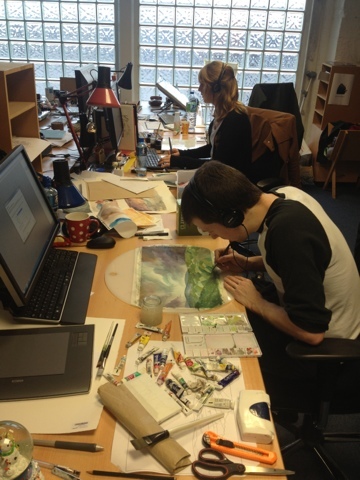 We have had two background painters from Luxembourg join our team to train for a few weeks lately. 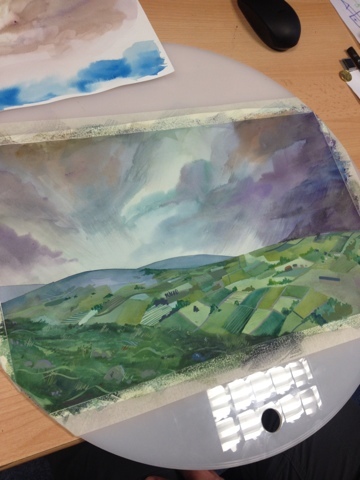 Its lovely to see the watercolour basis for the bgs being painted before they go into photoshop . 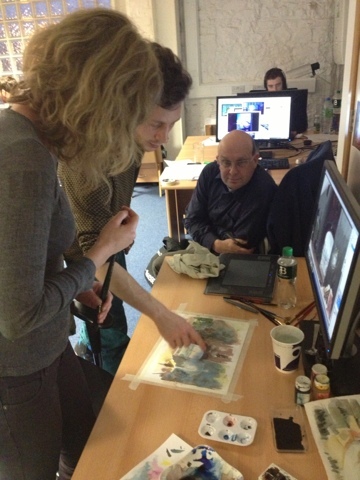 Heres a lovely wip by one of our Irish bg painters Ciaran Duffy - and a shot if art director Adrien merigeau showing laurence and pascal from 352 the technique he used for making the bgs .